Hello everyone. Im so sorry I have been a way so long. I have been sick again and just down right behind in work! This post is simply just amazing. Meet Lilly and Gavin. They were born at 25 weeks (i hope im getting all of this info correct) and weighed about 1lb each. Simply amazing that they are still with us. After a very long stay in the NICU and more help at home and more surgeries they are now on their way to being healthy happy lil miracles. 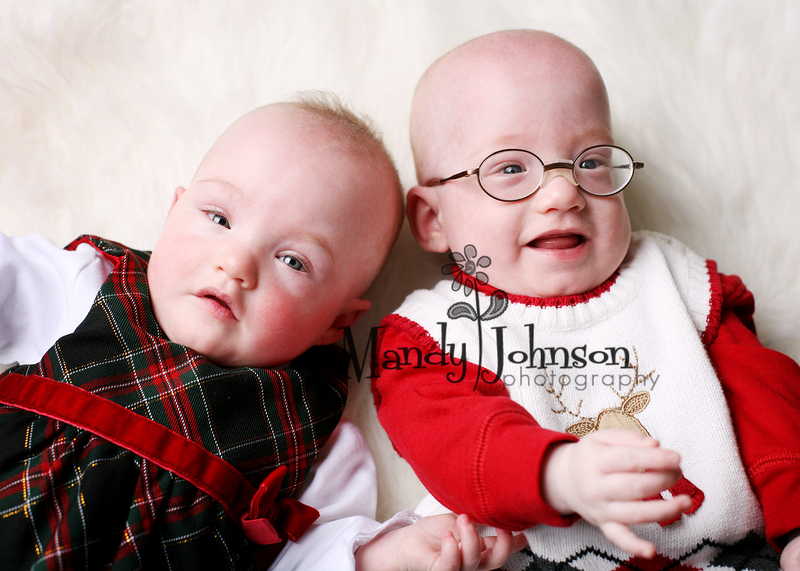 Their sweet mom contacted me months ago about doing a session and it just kept getting pushed back so I was thrilled to finally meet and love on these angels. Lilly has this shy lil girl presence going on and Gavin in his cuteset thing ever glasses just makes you smile! Mom sent me pics to post on here of how tiny they were but Im having trouble posting so I will try again later. Anyway, proudly I present to you lil miracle santa babies. Yummyyyyy. Could just eat them up. « Holland & her beautiful family.